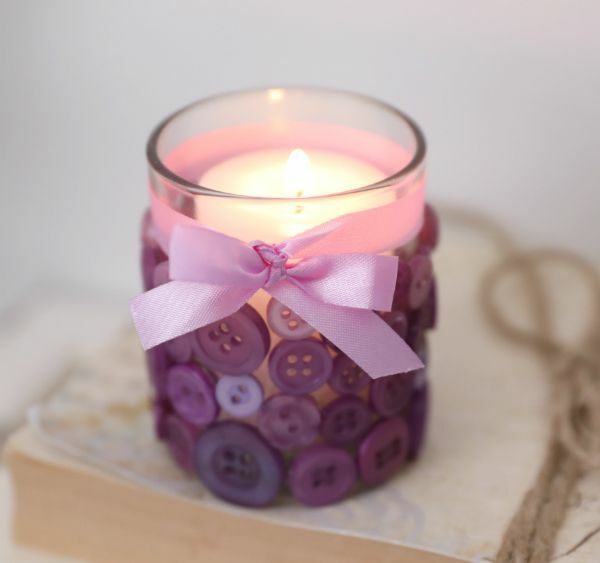 If you love to sew or just like candles, this project is perfect for you. Flat buttons are probably sitting in your button stash in the sewing room and when adhered to a votive holder, create a decorative yet functional piece. 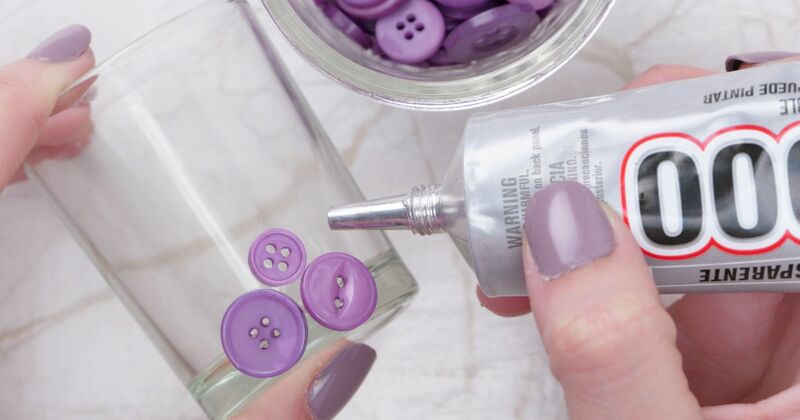 Use any color(s) of buttons, but make sure they are flat on the back so the glue easily, and round so they fit with small gaps to allow candlelight to emanate from the glass. Don't use buttons that are too large—they need to be small enough for the back to stick flush to the glass. This project also is lovely as a small centerpiece for round tables at a baby or wedding shower. Use pastel buttons and ribbon for baby showers, and white or the bride's chosen colors for a wedding shower. This craft does take some time, as you apply each button by hand, so plan accordingly. 1. Adhere one button to the bottom front of the glass using the bonding agent. 2. Adhere buttons next to one another on the glass until you reach 3/4 inch below the glass rim. 3. Cut off a piece of ribbon long enough to wrap around the glass rim twice. Cut the ribbon's ends at 45-degree angles. 4. Wrap the ribbon around the glass just above the glued buttons and tie a bow. 5. Place an unlit votive candle in the holder. Light if desired.